The 2014-15 football season across the European continent has been a special one for Portuguese managers. 5 Portuguese managers in European leagues have already claimed this year's domestic title and barring any managerial changes there will be at least 7 Portuguese managers in charge of UEFA Champions League clubs in next season's tournament starting at the third qualifying round, 4 of which have qualified directly into the group stages. A few names stand out more than other; here are the 7 Portuguese managers that have enjoyed fantastic success with their clubs this year. First we begin with the two managers that have done very well with their clubs in tough leagues, and although they were unable to claim the top prize, their work on the bench has been quite successful this year. After impressive runs in the two Portuguese cup competitions the previous season and a subsequent qualification to the Europa League with small Portuguese side Rio Ave FC, Nuno Espírito Santo was appointed manager of Spanish side Valencia CF. In his first year with Valencia Nuno's side is sitting in 4th place in La Liga with just one match remaining. A win against Almeria will confirm Nuno's side's qualification to the UEFA Champions League, guarantee at least the fourth spot in the table and will put the Portuguese at least 4 spots above Valencia's last year table finish under Argentine manager Juan Antonio Pizzi. Although Leonardo was born in Venezuela, both of his parents are Portuguese and he himself moved back to Portugal at a very young age. This season Jardim took over at AS Monaco after the resignation of Italian manager Claudio Ranieri and has so far enjoyed a pretty solid season. Currently sitting in third place with just one match left in the year, Jardim's side could qualify for next season's UEFA Champions League with a win over Lorient. Now we move on to the champions, the Portuguese managers who were able to claim their domestic title. OK, so perhaps it's not all too surprising that the champions of Portugal have a Portuguese bench-boss. But when you consider the fact that Benfica's arch-rivals Porto have a Spaniard for a manager it doesn't seem all too pointless any more. In his 6th season in charge at SLB Jesus have won his 3rd Primeira Liga title and have put Benfica once more directly into the group stages of next season's UEFA Champions League. The "Special One" keeps on winning. In his second stint with London club Chelsea FC Mourinho has just recently secured his 3rd EPL title. Obviously, Chelsea will qualify directly into the UEFA Champions League group stages. This season Mourinho's side was perhaps one of (if not the) best ones he's ever had. Winning the title with 3 matches to spare and having never relinquished the 1st spot in the table since the very first match of the season the Portuguese manager will surely shift his focus on the transfer market now and the idea of capturing the Champions League title next year. After the departure of Swiss manager Murat Yakin to take charge of Russian side Spartak Moscow, Portuguese Paulo Sousa was brought in from Israeli side Maccabi Tel-Aviv to continue Basel's impressive 5 year championship winning streak. Sousa did just that, claiming Basel's 6th title in successive year in impressive fashion. The Swiss cup is still up for grabs for the Portuguese manager when FC Basel face Sion on June 7th; that together with a very solid run into the round of 16 in the 2014-15 UEFA Champions League have put Sousa on the map of European football. After the firing of Spanish manager Michel, Vítor Pereira was appointed new coach of Greek side Olympiacos in January of this year. After sitting 2nd for the majority of the season before Pereira's arrival the Portuguese's influence were pretty much immediate as Olympiacos would take over the first place in the table and never look back, winning their fifth consecutive league title. 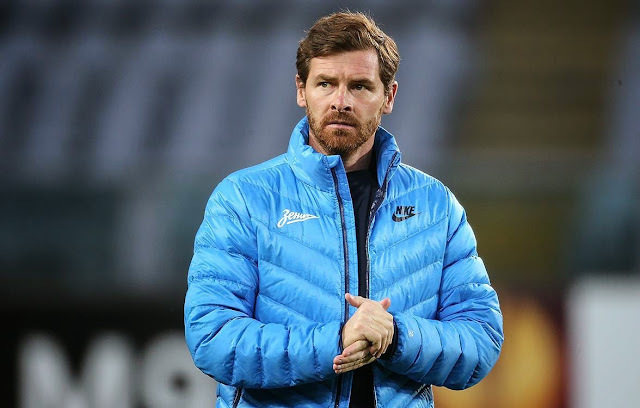 Since his appointment at Russian club Zenit, former Chelsea and Tottenham boss has managed an impressive 65% win to loss to draw ratio and has now claimed his first league title with the club. This season Zenit has lost just twice in 28 matches and will qualify directly into the group stages of next season's UEFA Champions League.